Amadeus, a technology partner for the global travel industry, has announced its 13th consecutive annual participation at Arabian Travel Market (ATM), the Middle East’s premium travel and tourism exhibition. ATM 2014 is set to run from 5 – 8 May at the Dubai International Convention and Exhibition Centre. Amadeus’ new corporate branding and identity, ‘Let’s shape the future of travel’ will be on spectacular display at ATM 2014. Amadeus will additionally leverage its presence at the region’s definitive travel exhibition to establish effective collaborations with customers and partners towards positively and sustainably impacting the travel landscape. Exhibiting at stand TT6020 in the Technology Hall at ATM 2014, Amadeus will introduce visitors to its latest range of travel technology products and solutions aimed at empowering travel partners to ‘Connect, Serve and Manage’ their business. In addition, the travel-technology expert will highlight solutions designed to meet the demands of the next generation traveller, a key focus area for the industry today. The solutions include enhancements to its market leading mobile platforms and technological solutions that enable travel agents to go online and corporations to provide self-service travel tools. Amadeus’ new traveller alert technologies will also be on display along with a Social Media Suite that enables travel agencies to engage more actively with their customers. 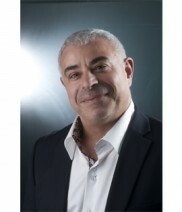 Antoine Medawar, Vice President, Middle East and North Africa, Amadeus, said: “To the next generation traveller, connectivity, personalisation and sustainability are paramount, and as service providers in an end-user driven industry, we need to be geared to meet these demands. Amadeus has been working relentlessly over the years to observe, understand and anticipate the changing end-user dynamics that directly impact travel trends. Amadeus will host a press conference on Day 2 of ATM – Tuesday, 6 May – to highlight its Travel Intelligence and Big Data Tools. Given the relevance of market intelligence for all types of travel agents, Amadeus will demonstrate the integration of its leading Big Data technologies into the travel agency environment for improved decision making and productivity. Senior company executives will also share significant travel trends with the media. As part of its participation at ATM 2014, Amadeus will also conduct two seminars on 6 and 7 May, gathering customers, travel industry players as well as the media. Headlined ‘Big Data and Advertising’, the first seminar will focus on ways to leverage Big Data to rapidly obtain market insights, and subsequently optimise promotional spending by utilising all available platforms. The second seminar, ‘The Future of Online Travel in MENA’, will provide an overview of the online travel landscape in the MENA region, and share insights gained via Amadeus’ new travel intelligence tool. Visitors to the Amadeus stall at ATM 2014 will also receive a sneak-peek of Amadeus’ soon-to-be published research paper ‘The Future of Travel in the GCC’. An event with high regional relevance, Arabian Travel Market 2013 witnessed a participation of more than 8,473 exhibitors and over 21,000 visitors, 77% of them from the GCC countries. ATM 2014 will serve as a perfect platform for Amadeus to reinforce its position as a leader in the global and regional travel market with the purpose of shaping the future of travel. via Amadeus to Showcase connected, personalised and sustainable travel solutions at ATM 2014 |. This entry was posted in CMOs in Travel and tagged Amadeus, Arabian Travel Market, Business, Middle East, Tourism, Travel, Travel Agency by Jemma Neethling. Bookmark the permalink.